Why are some people quick and fast moving while others exude grace and stillness? Why do some people thrive in chaos while others desperately require structure and routine? Why are some people intrinsically happy while others seem to carry the weight of the world? It's true that genetics and upbringing play a tremendous role in our characteristics and idiosyncrasies, but so do the 3 doshas. According to Ayurvedic philosophy, the universal life force which flows through and sustains each one of us manifests as 3 differing biological energies, or doshas. The doshas - Vata, Pitta, and Kapha - govern all physical and mental processes and provide us with a basis for seeking ultimate health and fulfillment. Each of us are composed of a unique combination of the 3 doshas which serves as our own personal blueprint. It's important to note that this combination is not static; in fact, it is quite dynamic, and it is possible that your dosha composition could change as you move through life. Fluctuations in your environment, diet, seasons, climate, age, etc. all have an affect on your life and therefore on your doshas, and as these fluctuations occur, your health, energy levels, and general mood follows - for better or for worse. Understanding the 3 doshas, what your primary (and secondary) doshas are, and keeping in tune with the ever changing state of your being will serve you well and lead to a healthy, happy life. Typically, a person can read through simple qualities and traits of each dosha and easily identify what their primary dosha is. Read on below and see if you can distinguish yours. For Vata's, it's all about air and space elements. Just as the wind provides movement and expression to the natural world, the balanced Vata has the gift of expression, inspiration, and communication. But just as the wind can easily rage out of control, negative qualities can quickly overshadow these attributes. Consistent with the intangible nature of air and space, imbalances can lead to dramatic fluctuations involving energy, mood, appetite, and routine. The qualities of Vata are dry, rough, light, cold, subtle, and mobile. A Vata displays these qualities both physically and mentally, and providing opposition to these qualities helps to soothe and mend any disruptions. Vatas need grounding, warming, and routine. They need peaceful environments, wholesome and contemplative activities (like spending time in nature), routine, early bed time, daily meditation, and gentle physical exercises like yoga, swimming, tai chi, or walking. For Pitta's, it's all about the element of fire, hence their ferocious nature when it comes to either work or play. Pitta's also tend to have attributes similar to water as they are fluid, natural leaders, and quick learners who can comprehend easily and master new skills. But just as a spark can quickly turn into a forest fire without proper care, an unbalanced Pitta has a tendency to "overheat" and can be judgmental or impatient. As the fire of the mind and body becomes enraged, a laughing pitta can quickly become a yelling Pitta, and eventually lead to anger, bitterness, and an inflated ego. The qualities of Pitta are oily, sharp, hot, light, moving, liquid, and acidic. Pittas need cooling and calming, and everything in moderation. Softening and channeling these qualities are the secret to harnessing the Pitta power. Calming physical exercises will help keep Pitta energy balanced, such as walking, swimming, yoga or tai chi, or simply just spending time in nature. For Kapha's, it's all about elements of earth and water. Physiologically, it refers to the structure, smooth functioning, cooling fluids and lubrication of the body. Psychologically, Kapha governs love, patience, forgiveness. Similar to the rain, Kapha energy is grounding and nourishing, but just as a rainstorm can turn into rampant flooding and heavy dampness, when unbalanced it can lead to mental, emotional, and physical weight. The loving and calm disposition of the Kapha can turn to lethargy, attachment, and depression when in an indulgent state. Qualities of Kapha are moist, cold, heavy, dull, soft, sticky, and static. Ways to offset these qualities include dryness, smoothness, stimulation, and expression. It is important for the Kapha to engage in mental and emotional housekeeping, and make time for introspective activities like writing and meditation. So that is the basic framework that forms the 3 governing dosha energies. Fascinating stuff, isn't it? Even more fascinating is what happens when we start to attend to these naturally ascending qualities through the planning and design of our built environment. Think with me for a moment and imagine what that looks and feels like? How might we integrate and infiltrate the spaces we inhabit with elements that heal, balance, and harmonize our surroundings with our selves? And what might the result be? What change and transformation could this provoke? 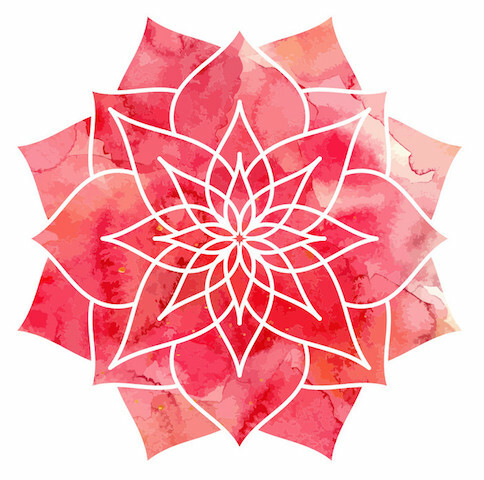 The ideology of Ayurveda provides a foundation with which to really explore and ultimately identify ways in which our peripheral circumstances can truly heal, which is what we will continue to explore as the Design Dialogue unfolds. Moving forward, we will start to navigate the elements and principles of design and dive even deeper into what thoughtful design can really manifest.